The timestamp on my Google Sheet is coming through wrong. I have ensured my Google Sheet has the correct timezone set up. Please could you advise me on this? Thanks. The timestamp in the Google Spreadsheet is displayed based on the timezone set on your JotForm account. 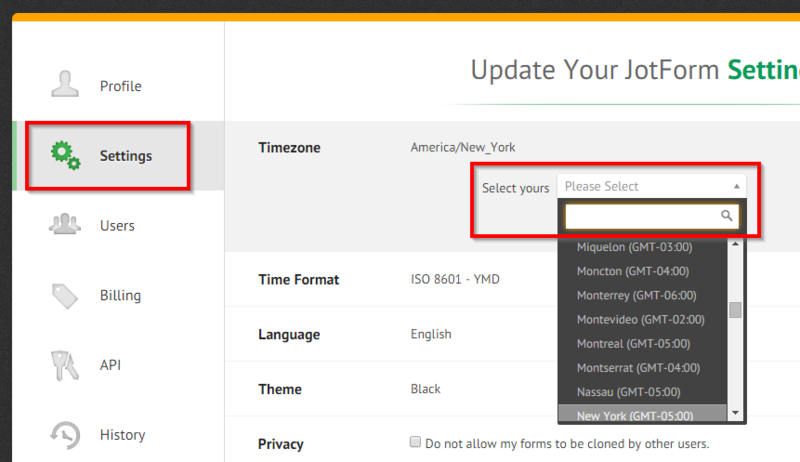 Please make sure that you are having the correct timezone set on your JotForm account settings. If it doesn't help, please try removing the Google spreadsheet from the form and integrate again. Let us know if you need any further assistance. We will be happy to assist.